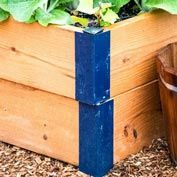 Raised Garden Bed Corners | Gurney's Seed & Nursery Co. 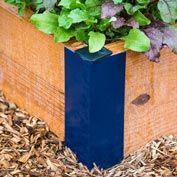 Easily build raised garden beds for growing your favorite vegetables, ornamentals and more with our Raised Garden Bed Corners. 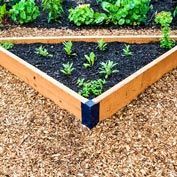 Forming perfect right angles, these handy corners take the stress out of building! 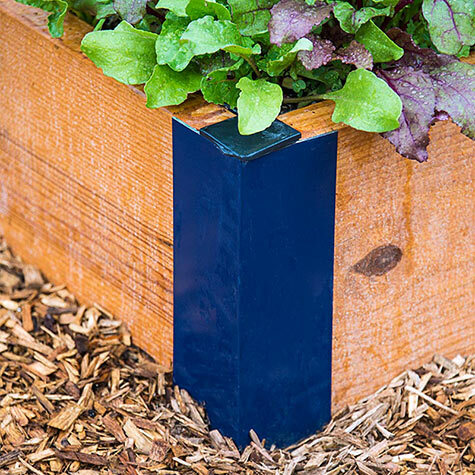 Made from powder-coated aluminum stock that won't rust, these corners are built to last! To use, simply slide lumber into place and screw to secure. 2-in. dimensional cedar is recommended for its natural insect and rot resistance. The corners accept 10-in. 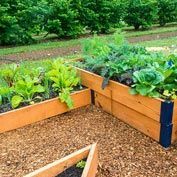 boards, which are the ideal depth for growing the widest variety of vegetables. Creates beds up to 8-ft. long. Each set includes; 2 corner connectors, 2 corner caps and 8 1.25-in. screws. 2 sets required per raised bed.